It’s a book lover’s dream, or maybe a librarian’s nightmare. Look closely: it’s not a deep well made of bricks, but rather a bottomless pit…of books. But before you get a headache trying to figure out how somebody built that thing, rest assured it is actually the result of a clever bit of visual illusion. 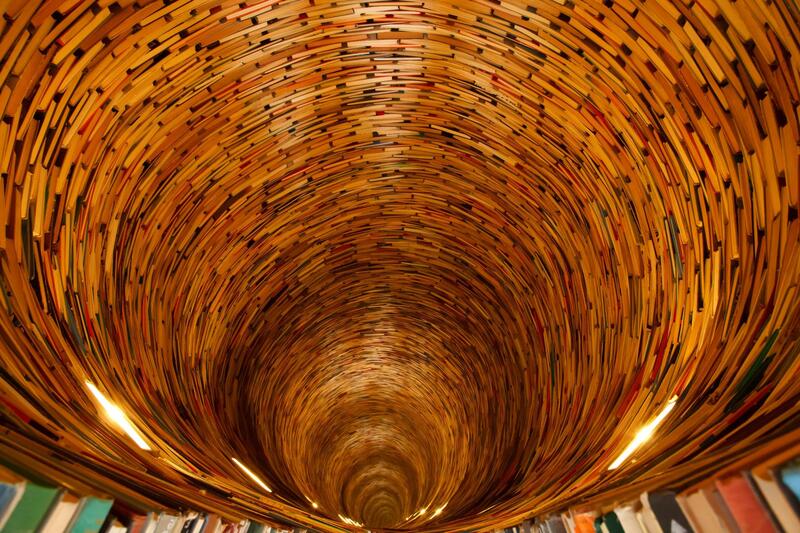 Housed in a library in Prague, the tunnel of books has mirrors at the top and bottom to give it the impression of extending endlessly into space.